Want to extend your home to accommodate new design? Why not let Four Seasons Home Improvements help? Our homes are probably our biggest on-going projects, with many of us choosing to transform them rather than move. 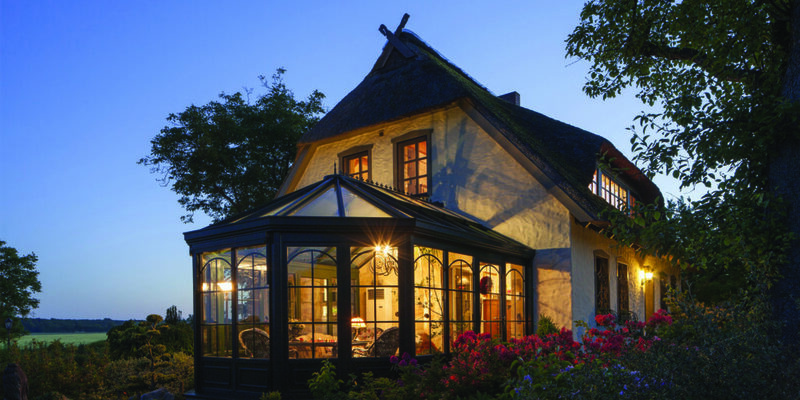 So, what are the benefits of extending to accommodate a conservatory or orangery? According to the Four Seasons team, more and more customers are deciding to add an extension in order to transform their lifestyle with their living rooms and/or kitchens. 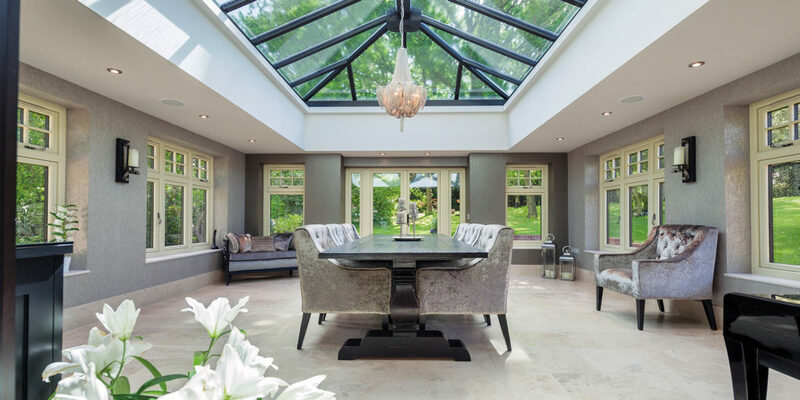 A contemporary orangery is a very popular option at the moment, and Four Seasons specialises in completing the whole process from start to finish, with expertise ranging from helping clients with building regulations and planning applications, to completing building work and arranging work by the finishing trades, from electricians to decorators. One issue that often puts people off is the severe fluctuation between extreme heat and bitter cold, from summer to winter. Fortunately, Four Seasons can mitigate this. A fantastic new option is to retro-fit a new roof to an existing conservatory, great for those that suffer with old Upvc roofs. 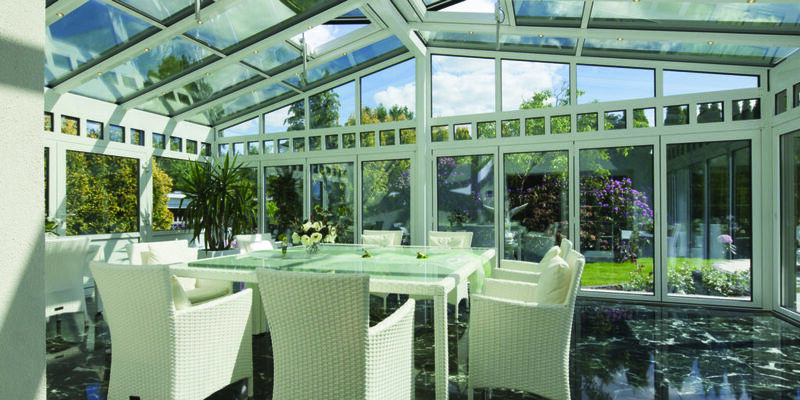 This is subject to a structural survey, but if you’re building from the ground up, you needn’t worry, as the technologies and materials now being used by most conservatory manufacturers are up to scratch with modern standards. Offering their top tips when it comes to design and installation, Four Seasons tells us that while flicking through brochures and looking at photos can give you an idea of what to expect, nothing beats experiencing the different designs ‘in the flesh’. 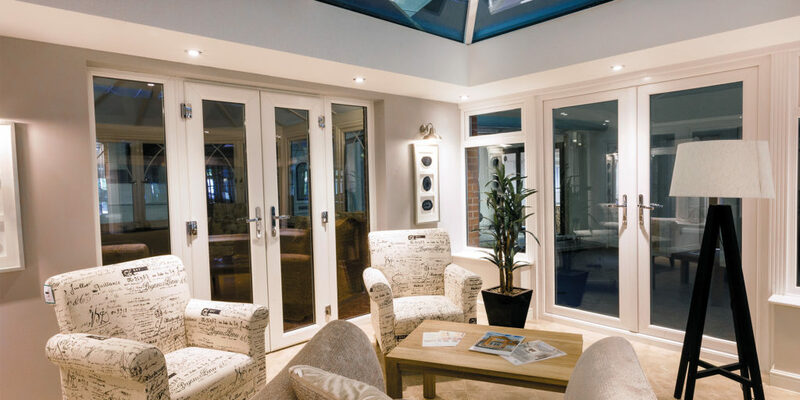 For this reason, the team recommends popping into the showroom on Sowton Industrial Estate, Exeter, to find the conservatory or orangery that best suits you. 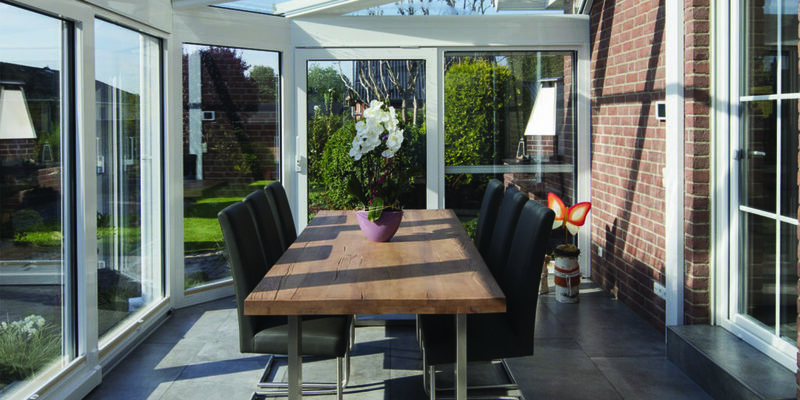 "A contemporary orangery is a very popular option at the moment..."